Today, sales teams depend on technology to accelerate the sales process, provide valuable and detailed insights about prospects and close more deals faster. But, without the right mix of technology and process, sales technology can still become a hindrance to efficiency. It’s up to sales leaders to enable their teams with the tools they need to perform successfully and efficiently. By mapping your technology to your sales process, choosing the right solutions to add to your sales stack and investing in ongoing team training, sales leaders can increase both sales efficiency and productivity. Without a clear idea of how your team uses the sales technology you already have, it’s difficult to measure how effective it is in helping salespeople do their jobs more efficiently. Take stock of your current technology and map it to each stage of the sales process. This will help identify which apps have significant impact and complement your sales process, which are redundant or distracting and which create inefficiencies or bog down the process. When it comes to technology, it’s possible to have too much of a good thing. When sales teams have to wade through a sea of apps to do their jobs every day, efficiency plummets. Once you’ve mapped your current sales technology stack to your sales process, determine which apps to keep, swap or scrap altogether. 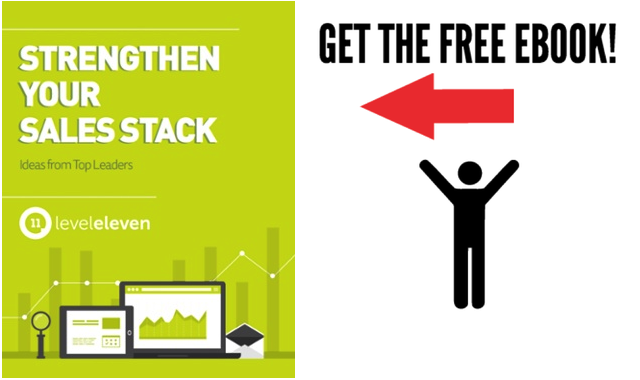 By optimizing your sales technology stack, you can combat “app creep” (a condition characterized by the adoption of an ever-increasing number of point solutions for sales teams to do their jobs) and choose apps that keep salespeople working in a single location, provide valuable insights and streamline the sales process. An effective sales technology stack must also integrate seamlessly with your CRM, which should serve as your single source of truth. Even technology with a beautiful and simple UI will have a learning curve, so invest in sales enablement for any new apps you introduce, ensuring that each sales team member knows how to navigate new apps easily and when to use them. It’s in a sales leader’s best interest to ensure that each team member can hit the ground running with new technology. Next, regularly evaluate the apps in your sales technology stack by collecting team feedback to make certain your team is using them efficiently and getting the most value from them. When sales teams have the right sales technology, they can respond more quickly and efficiently to prospect needs, build better customer relationships and close more deals. These three tips can give your sales team the power it needs to navigate the demands of modern sales and win. A career entrepreneur with expertise in building and growing small to medium-sized businesses, David Kerr brings 20+ years of experience in executive management, business development, marketing and sales as TinderBox‘s COO. Kerr most recently served as VP and GM of Groupon, guiding strategy, financial planning, investment and product management and execution for a marketplace channel with $120 million in gross billings. Prior to Groupon, he was the GM of eCommerce for Angie’s List, responsible for driving revenue through eCommerce product solutions, like the Big Deal. Sales technology is meant to promote efficiency but can easily hinder it. These three tips will help you prevent that.